Wednesday Morning Thrift Store FIND! Whittle down your cable bill and get more! I'll never get over the cruel Russian Roulette 'Lost' plays with its characters. And it always falls prey to my favorites. Last night, another one was sacrificed to the island gods. Who? But of course, my short-lived fav to replace Charlie....Daniel Faraday. 'And oh yeah, I'M your son....AND YOU KILLED ME....TWICE! (in a sense)"
Really, more Losties need to stop 'beating around the bush' and take his lead....Ben I'm looking at you. Maybe it's just wishful thinking, but I'm not totally convinced that Daniel is dead. He looked up, was silent and then BAM! LOST! You know the drill. Plus according to the boards, there's some secret video where Dan is with Chang trying to warn about the 'event' that they haven't recorded yet. I'm crossing my fingers! According to the artist, this isn't as painful as it looks. She has a condition called dermatographia which makes her body produces excessive amounts of histamine, causing capillaries to dilate and welts to appear (lasting about thirty minutes) when the skin’s surface is lightly scratched. Still....makes me squim....but interesting. So recently I got an email from one of my favorite shop spots 'Forever 21' advertising 'The Prom'. And I'd be lying if I said it didn't raise a little concern that I shop at the same place as girls half my age studying for their driver's test. So did I delete the email and vow to never shop there again? I clicked on the ad hoping to peruse their selection of mid thigh length bubble gum pink prom dresses of course. What I found instead was an ad for their 'green' bags. And interestingly, this bothered me. Okay, before you all get upset, I'm all for 'green bags'. I keep my baggu bag in my car and use it when I pop into the dollar store. I'm not so much into companies (like F21) jumping on the green bag wagon not so much because they are concerned about global warming but more because they earn $1.25 or more per bag after the .25 cent cost to produce it. This especially struck me as bothersome last Christmas when I asked if I could get a box with my F21 purchase but was told I had to wrap my gift in a 'green bag' for $2.50. Nothing says Christmas morning like handing someone a recycling sack to open by the fire. And F21s not alone! They're at the supermarket, they're at the drug store and they all cost waaayyy more than they should! Business after business using 'global warming' as a means to earn a quick buck! If these people are truly 'concerned' about the environment, they'd charge 25 cents a bag and everyone would be using them. I've wanted these for some time. This is what I bought at the Salvation Army this morning for only $14.99 NEW IN BOX! You can buy them brand new at Amazon for $70. After all the bargaining and arguing and bitter haggling I've endured with Comcast, I have finally struck a deal with Verizon and was looking forward to FINALLY telling Comcast to disconnect my service! Unfortunately, instead of being directed to the angry, arrogant, tightfisted operators I've been dispatched to in calls prior, I was sent to a sweet, patient woman who made it impossible for me throw an offer back in her face. WHAT A BUMMER! I was really looking forward to telling one of those operators that they could keep their so called deals. If you are in the same boat I was in with comcast you should check out Verizon's new FIOS offers. We don't use landlines at our house. So all the digital voice inclusions don't really help to keep down our bills. But Verizon offered us, their TV package that included all the channels except premium ones, on Demand, DVR, HD and boxes in any room we wanted. They also included internet at a 20mbps download speed (which is really good), free modem/router (no monthly fee) and free installation all for only 100.00 plus taxes for a guaranteed two years. That's ten dollars less than what I was paying with comcast and we only got 1mbps download speed with them. Oh plus Verizon offered a $100 Visa gift card. It was the two years which sold me because with comcast, they'd give me a deal for 6 months and then after that time I'd be back on the phone haggling with them yet AGAIN! 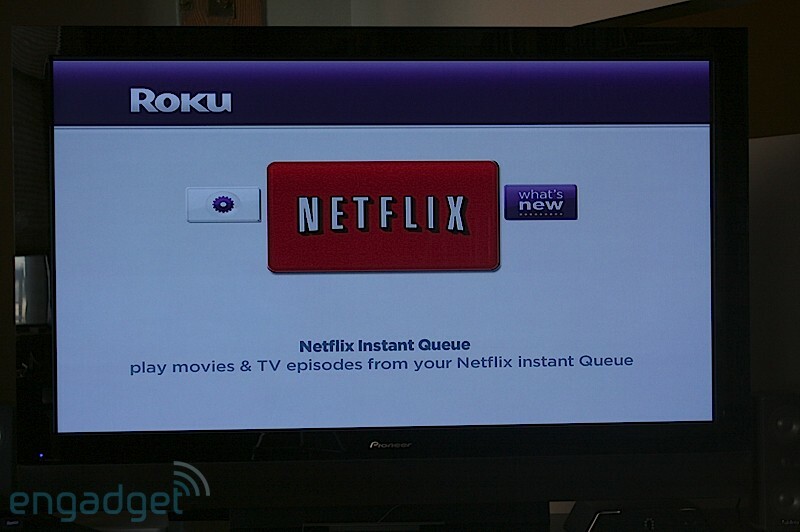 But in addition to that I added Netflix to our tv through this little box from Roku. Basically, I have the normal netflix subscription but with the Roku box I can watch movies from Netflix INSTANTLY no charge but my normal $5.99 monthly fee. The instant selection isn't fantastic. I might equate it to HBO or Starz but not the newest releases. If you felt so inclined you could get rid of your tv bill altogether and just go with the roku netflix thing. It has a lot of the newest tv shows to watch instantly. Good deal? The salavation army a couple miles from my house is sooo fantastic! It's one of the larger ones I've seen. And I don't know if it's because it's in a good neighborhood but their selection is actually quite good....for a thrift store. And on Wednesday everything is half off! I go every Wednesday and have bought about a zillion sleepers, pajamas and various name brand tops and bottoms. For example.....today I bought 3 footy pajamas, 4 pajama bottoms, one children's place green cords, one Children's Place striped sweater, 3 Carter's floral tops, 1 Carter's yellow capris, 1 Carter's snowflake fleece pullover, one OshKosh Knit Top, one pair of velour track pants for molly, and 2 video taps for only....$20! That's nearly $1 per item! And remember, if you are close to crossing over that tax bracket, if you donate to salvation army, get a receipt for everything you give. All you do is estimate how much each thing is worth and that's what the receipt reflects. When taxes come due you can deduct how much you donated from your annual income. If you're close to the threshold, it could be your "salvation" from paying a whole lot more in taxes! Here's a link to estimating the value of your stuff.